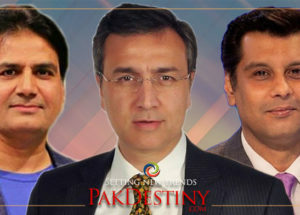 Islamabad, June 8 (http://www.pakdestiny.com) Geo TV anchor Najam Sethi has served legal notice on Dawn TV anchor Talat Husain for leveling false allegations against him. Talat who appeared very frustrated in his show which he conducted on Bahria Town property tycoon Malik Riaz the other day he took on Sethi for his relations with Riaz. Out of sheer frustration he directly accused Sethi of taking favours from Malik. 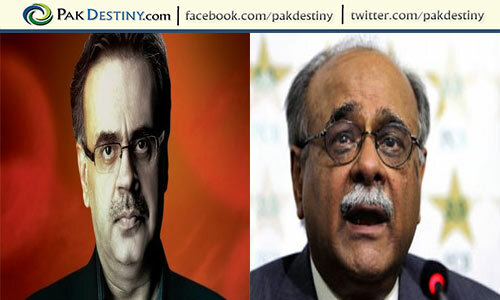 He said Sethi’s chiria (sparrow) in fact is Malik Riaz from whom he takes all the information of the power corridors. Talat did not stop here. He said like Sethi many others anchors and journalists would try to absolve Riaz of the scam because they had a lot of favours from him. In his ‘professional’ reporting Talat in his hatred of Riaz and Sethi he had established that poor Dr Arsalan Iftikhar (CJ Iftikhar Chaudhry’s son) was trapped by Riaz by giving Rs400 million or more. The poor baby of the CJ came to know his mistake after spending half of the amount in European destinations and their colourful night clubs. All evidence is with Riaz, believes Talat. 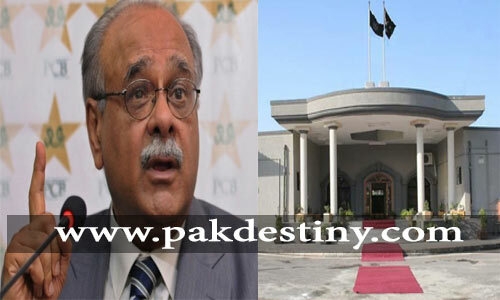 Sethi rebutted Talat’s allegations in his program saying “he is jealous of me and Geo” . 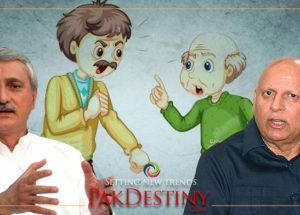 “Talat’s program rating on Dawn TV is very low and to raise it he is taking on personalities like me,” Sethi said. Talat believes that Sethi and adviser to interior ministry Rehman Malik had gone to London to give evidence they were provided by Riaz to journalist Christina Lamb who is going to publish the real story in British press in coming Sunday. Allah knows better that who is right and who is wrong. As, i am not in favor of Mc Carthyism, therefore thI think at allegations should not be levelled unless and untill one has evidence behind such fact otherwise the consequences are embarrassing. Otherwise, I personally hold the opinions of Talat to be more credible than Najam Sethi as Journalist. 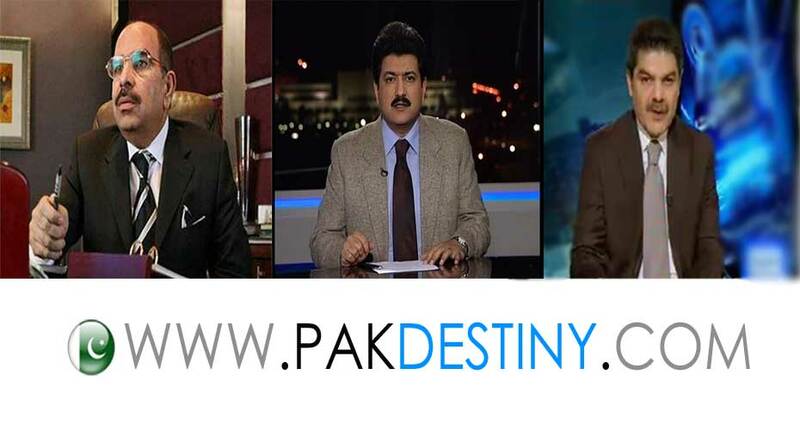 Now, Anchor Person / Journalist are also in the game like politician. They have to bear the consequences of their choices regarding their resources of information. And it is an ultimate matter that should also come into the public knowledge. Tallat Hussain doesn’t need people like NS to gain the popularity. He’s widely know for his credibility and impartiality. Had he been looking up for any fake fame, he could have done this after he returned from flotilla but he never did so. And then there are several events in journalism where he stands among the most matured and authetic analysts. So , it’s just spontaneous and failed argument put by NS and alliance. This legal notice is nothing more than a drama, an eye wash. Facts can’t be denied by sending mails by fake IDs. Sent from my BlackBerry® smartphone from Warid. 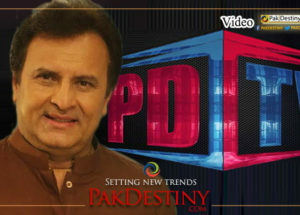 Pls watch todays (08-06-2012) News Night with Talat as well to understand his version. I hope Talat will establish another classical trend of all journalist. What right did Talat have to say that najam’s chiriya is malik riaz and that najam takes favours from malik riaz? He provoked najam to retaliate. And whats is the point of giving his bank account details? Dear Khan, you have rightly pointed that bank accounts of Najam Sethi should be scanned. iwould rather demand from supremen court to trace banks accounts of all such media people and find out what kind of chirriya they have. Where is the audit of SAFMA for the last many years? I agree with you and if this practice will start than every thing will come Transparent, along with this the back ground of the media persons as they working in past and the assets as they were in hands before 1998, and present status according to the assets i mean. there many journalists as they are working Hard but getting very nominal pay while some are making the table stories and are just Lobbyist which has been converted in a Mafia. DAWN has good policy and have history in journalism. 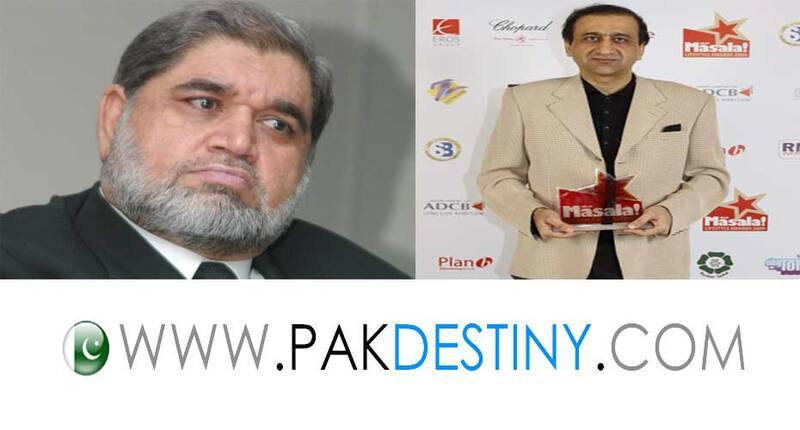 I am shocked the way Talat Hussain wrote an article on his website saach.tv….being a journalist he has no right to say that Malik Riaz does not know English and mock him for being uneducated. Sorry to say but Talat you utterly disappointed me as a person who always admired your ethics. If Malik Riaz is the bad guy there are other decent ways to prove him guilty. What Talat Hussain did wrong ? Najam Sethi is Munafiq Journalist, and Talat show his face. Talat Hussain should come farward and Tell all Journalists name those envolve in curruption and tout of Malik Riaz. There are a lot of things about Talat Hussain’s attitude and personality, if you get to know them personally, you will be more shocked. A successful anchor does not always mean a ‘good’ person. Without going into NS/TLt controversy , let me tell you NS’s CHIRYA is not only MR.
Coming back to arslan iftikhar that he was trapped, my dear Talat, is Arslan is a school child? He doesnt know , he is son of the Chief Justice, CJP did not know the sudden change in his lavish life style? His son who was a salaried person , how his assets went sky height, how a father could not know that is son is playing in millions? there are unconfirmed reports and needs to be investigated, that Arslan after his foreign trips brought 483 suit cases/ containers were transported to CJP official HOuse from ISb airport and without any custom duty, ISB Airport had the record of this (transportation), Did CJP asked his son the source of this bagage? A very simple question to all of you , WHAT WOULD BE YOUR REACTION IS YOUR SALARIED SON TURNED INTO A BILLIONAIER OVER NIGHT OR OVER MONTHS? WOULD YOU ALL ASKED THE SOURCE OF THIS WEALTH? IF NOT IT MEANS YOU ARE THE PART N PARCEL OF THIS WEALTH? Mr. Najam Sethi, when u declare ur assets and when u tell truth abt ur Relations with SAFMA and India, US ? Can u tell what job ur daghter doing in US ? 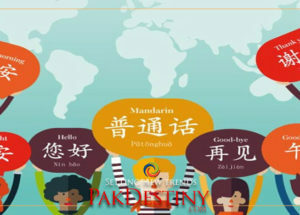 Why u living mostly in US and UK ? Talat Hussain shb did very nice prgm, he tell reality of Najam Sethi. Talat Hussain is brave man, thats why he shows his ASSETS, and he is Real Analyst & Anchor. Now Najam ur turn. Ahmed , this could be true for anyone. 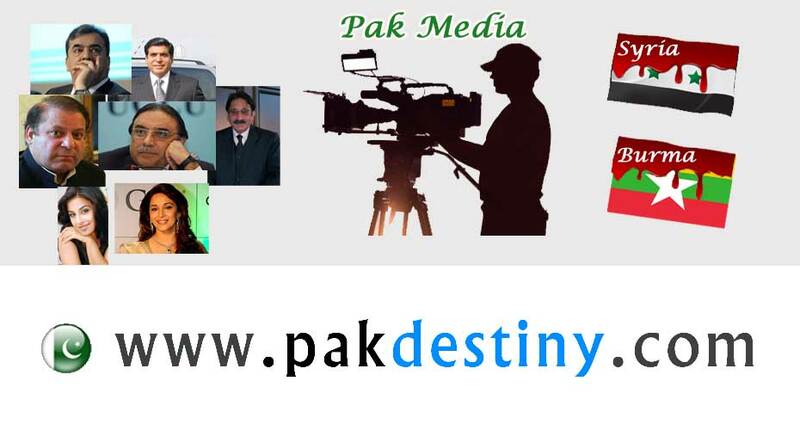 I know Talat Hussain since three years and have worked very closely since then. I found him the most noble not just in journalist community but also as a human being. Better not drag the discussion to wrong ends. I have a feeling Najam Sethi is about to eat his words. What words would najam be eating? He said talat worked for Stratfor and according to Wikileaks its a front for the CIA. One can make the case that wikileaks is inaccurate in depicting Stratfor as a CIA front but why would that be against najam? 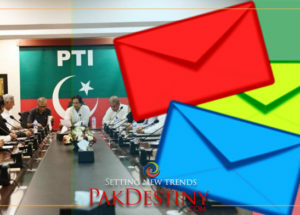 The Pakistani media had a field day when initially the wikileaks implicated pakistani political leaderships so they cannot now say that was right and this is wrong. On the otherhand Talat stating that najam chiriya is infact malik riaz and that najam personally used malik riaz is impossible to prove and hence is crap journalism. Divulging his bank accounts and other assets is just a ploy – does not mean anything. Talat Hussain showing his “ASSETS”. He probably does not know in which context this word is now being used by English-speaking people. God forbid that day when Talat Hussain does that in his TV shows and invited more legal notices. You started your adventures as a communist; please share with us, when did you turn into a capitalist? While you are at it, please share with us how you were selected, along with few others, by the infamous KGB from Oxford? Then please go over, you how were fighting against the state in Balochistan? Readers will also love to hear your version of how you stabbed Jhonny Dass in the back by abandoning him, which lead to his death? I hope Army still has a record of your arrest from Balochistan (1973-74). Patiently waiting for your response. What a pity we are learning the credibility of our so called famous journalists who are throwing their dirt on each other. 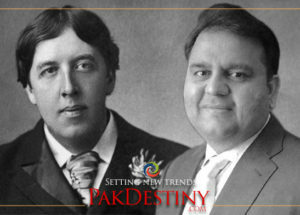 In a way it is good for the common people of Pakistan to learn the truth about their beloved journalist rather ………. Why 95% of the opinion program host on TV are from Punjab? 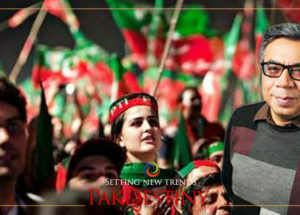 Why PTI 98% leadership are from Mianwalli, Lahore, Multan and Islamabad. We must call it Punjab Tehseel Inn Party! Starting from Chief Justice Supreme Court , Malik Riaz, Arsalan and all the corrupt journalist are from Punjab! Why is that? I just wonder!